You’re engaged and on top of the world! You’re officially a resident of Cloud Nine. It’s one of the happiest times in your life, a time full of love and celebration of all that’s been and all that’s still to come. Now it’s time to party…and plan your hiney off! One of the earliest decisions you’ll make in your wedding planning process is hiring your wedding photographer because you need to A) get them booked and cross this core vendor off your checklist, and B) schedule your engagement photos. 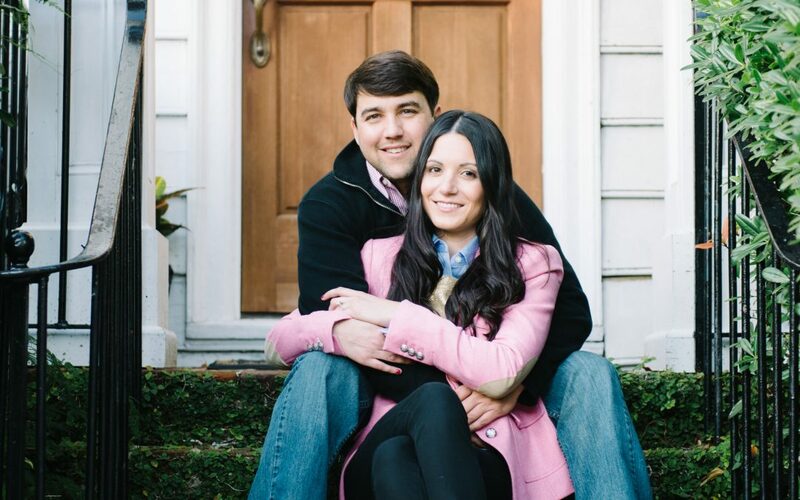 Your engagement photo session can fill two needs with one deed. 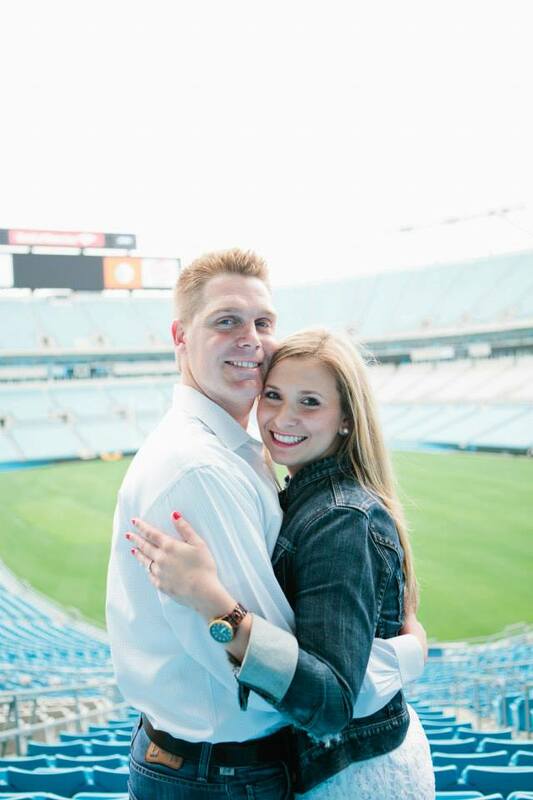 First, you get gorgeous photos to use on your Save the Date and wedding website, and, of course, to enjoy yourselves. Second, it’s one of the first official things you’ll do as a couple that makes the whole “we’re getting married” thing feel extra real! 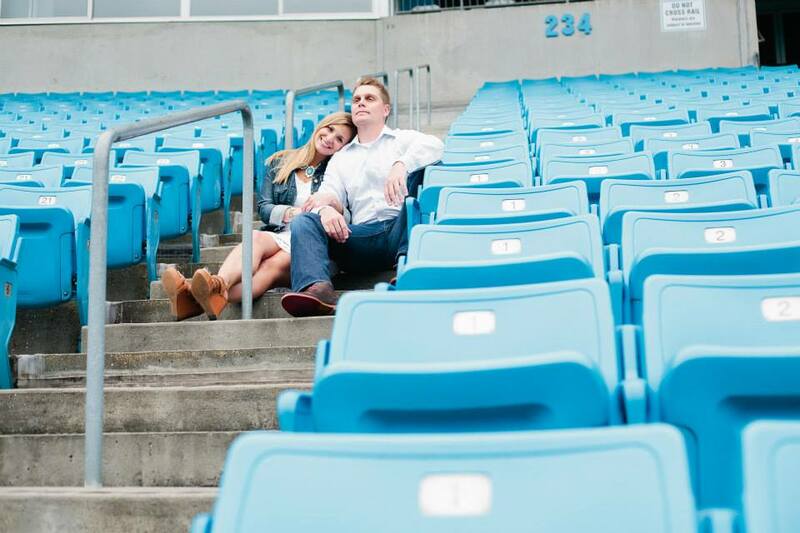 So you know you want engagement photos. Now it’s time to decide how you want them to look. While several factors will affect the quality of your photos — time of day, your photographer’s style, weather — two things make all the difference in nailing perfect engagement photos: location, and wardrobe. As a bridal stylist, my primary goal is not to find you the fanciest dress but to convey your personality in your engagement photos. Getting to know my clients — who they are, where they met, their styles and tastes — is the first step towards creating the perfect look(s) for them. Once we’re all speaking the same language, I create ensembles that fit their personal preferences and say something about their relationship. I focus on maximizing the number of photos my clients LOVE from their photo session. What does that mean? Well, I look for fabrics that move and add dimension. I consider which colors and textures will pop against the backdrop of their location. I watch for stray hairs, lipstick, creases, and cuffs while the photographer works their magic. A bridal stylist and wedding photographer make a great team because we look at things from different perspectives that combine to make gorgeous photos. When my clients have a hard time narrowing down their gallery to their favorites because there are so many good ones, then I’ve done my job! 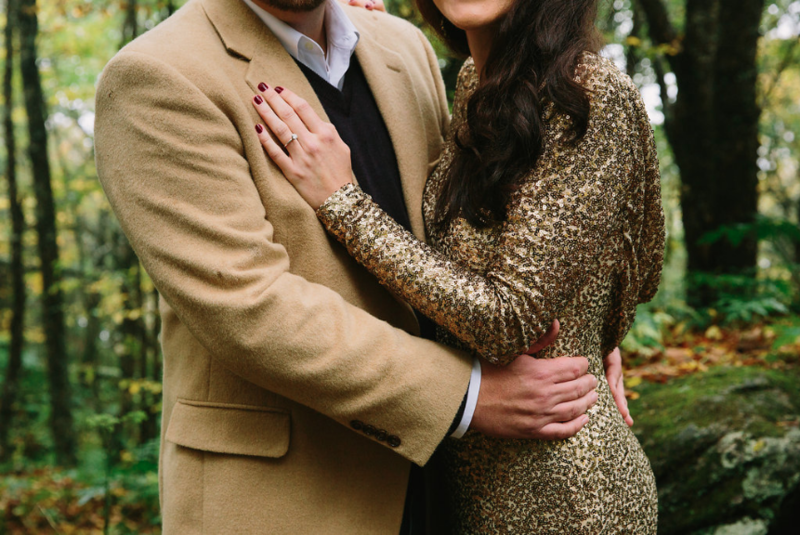 How exactly do you go from scrolling Pinterest to swooning over engagement photos that came out just the way you wanted? Just follow my three tips on nailing your engagement photos and you’ll be cherishing your forever photos…well…forever! For each tip, I include recommendations on the planning process, and insight as to how a bridal stylist can help you achieve the perfect look and enjoy the experience. 1 | Engagement photos are about your relationship, not your wedding. You’re about to be photographed more than you’ve ever been in your entire life. You’ll get a chance to wear a white dress to all your parties until the day and THE dress finally arrive. You’ll talk about your wedding planning down to every darling detail to your family and friends at every shower and party along the way. Everything and everyone is focused on what’s coming — the day you say “I Do.” But how did you get there? What transpired between the day you met and the day he/she proposed? Your engagement photos should capture the story of your relationship, how you fell in love, and the bonds you share. Pick a place special to you. 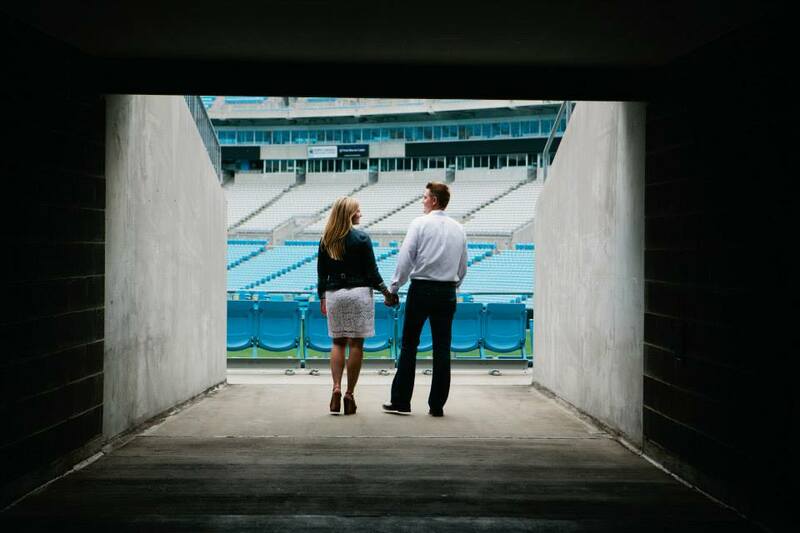 Remember how I said location is one of the two most important factors for perfect engagement photos? Well this is it! Sure you want a place that will look pretty in pictures, but it’s better if it’s significant to you and your fiancé. 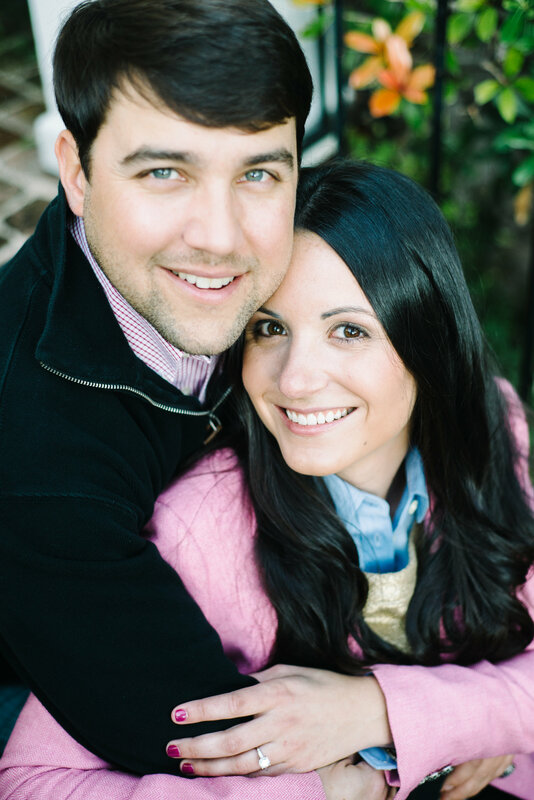 Consider having your engagement session where you met, or where you both go to spend quality time together. Are you sports fans? Take photos in your favorite team’s stadium or arena! Do you share a love for outdoorsy activities like hiking or surfing? Do your session on mountaintop vista or on the beach, and bring your surfboard! 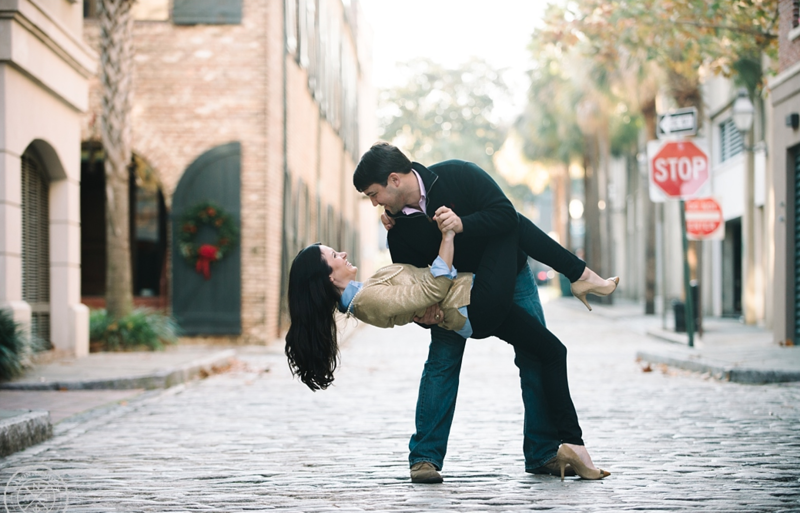 How a stylist can help: We can brainstorm original locations, poses, outfits, and props for your engagement photos. You don’t have to emulate cheesy ‘hearts drawn in the sand’ photos just because you’re taking them on a beach. We’ll talk about why you love this special place and you can share memories of your time spent there. Then I can customize your ensembles along with any personal items to tell your story through beautiful imagery unique to you! Many couples think everything related to their wedding should be cohesive and fit into their overall wedding design. That may be true for many things but NOT your engagement photos! Remember, your photos should say something about who you are and how you fell in love, not just focus your identity as a bride or groom. Your engagement photos give you a chance to mix things up a bit! If you’re having a glam, formal wedding, consider taking your engagement photos in a more relaxed setting. (If you still need your fancy fix, wear a glitzy dress to add a dose of glam.) If you’re having an outdoor wedding, go into the city and take photos with a dramatic skyline or against a colorful building. Couples having a destination wedding can take their engagement photos closer to home to capture where they share their lives together. Winter brides can take summery engagement photos. These photos will be part of your forever photo collection; you don’t need every single photo from this special time in your lives to look the same. How a stylist can help: I’ve worked with brides who wanted to use their engagement photos to capture places and styles they love but couldn’t incorporate into their wedding day. Maybe you always thought you wanted a beaded, embellished wedding dress and you wound up choosing a princess ball gown instead. (Hey, it happens!) I’ll find a luxe gown for you to wear in your engagement photos so you still get the experience and enjoyment of wearing such a dazzling dress. After all, you’re the bride and there’s no time like now to pull out all the stops! 2 | Trial runs create picture-perfect looks and provide practice for your wedding day. I don’t mean to confuse the issue: you don’t get a practice engagement photo session. (If you do, you have a really generous photographer and a lot of extra time on your hands.) What I mean is, it’s a smart idea to schedule trial runs with your hair and makeup artists for the day of your engagement photos. You know you need to book a trial run with them anyways before your wedding — why not put it to good use so you’ll have professionally styled hair and makeup for your photo session? You’ll learn a lot during your trial run: if you want a smokier eye, less volume on top of your hairstyle, more loose tendrils around your ears, which pink lipstick is the perfect shade of pink for you, and so forth. Your hair stylist and makeup artist will also learn about you, what your preferences are, how much hair you have, if you need to order extensions to get the wedding hair style you want, all that jazz. Just be sure to tell them that your engagement photos are later that day so that they don’t stray too far from the look you want in your photos. Most brides don’t want dramatically different wedding day and engagement photo looks in their makeup, but you will want to be sure you tell your hair stylist not to spray down your practice up-do if you want to wear it down for your engagement photos. How a stylist can help: Determining hair and makeup for your engagement session is all part of the overall look I create for you! I can recommend certain styles that match the tone of your photo session and will be sure to show up well on camera. Styling your hair the right way is equally important to finding the right outfit to wear; it’s a crucial component to getting the overall look just right. We can talk through styles to find what’s right for you, and use your engagement photo session as an opportunity to wear it in a style you love but don’t want to wear on your actual wedding day. 3 | Your outfits should be stylish and timeless, not busy or bland. Picking out the perfect outfit for your engagement photos can feel overwhelming, particularly for brides who want everything to be…well…perfect. Whenever I shop for my couples in advance of their session, I look for pieces that meet the following criteria: they’re comfortable; they’re timeless; and, they’ll look good in photographs. Comfortable clothing is extremely important, otherwise you’ll both look strained and awkward instead of carefree and in love! Anything that fits too tightly or requires a lot of fuss won’t show up well on camera and can add stress to the session. Pick pieces that flow with you as you move, dance, twirl, and so forth. They flatter the figure and play nicely with breezes and romantic dips and kisses. Don’t be something you’re not. If you live in sandals, don’t wear stilettos. 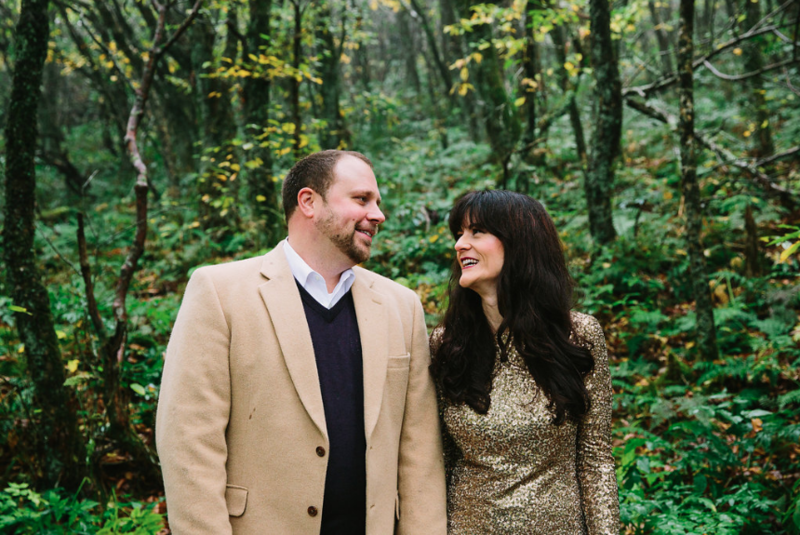 Your engagement photo session is NOT the time to try out a new look. Remember: these photos are about you and your relationship, so stick with pieces in which you feel your best! Don’t wear anything too baggy. (Gentlemen, listen up!) Clothing that hangs, sags, or bags around the body appears more exaggerated on camera. Believe me when I say not only is it unflattering, but you’ll look back on these photos one day and regret your choice of clothing. How many times have you looked at something in your closet, or at an outfit you wore in an old photo, and thought “what was I thinking? !” Times change and trends change with them. Just because you love something now doesn’t mean you’ll feel that way in five years…or even next season! Avoid wearing anything that’s too distracting. Don’t wear anything covered with logos or graphics. Think twice about choosing a highly dramatic sleeve, neckline, or hemline. I know mega ruffles and extra-wide bell sleeves are all the rage in 2018 but what’s hot today is not tomorrow. Don’t be a style snooze with all white or black looks, even if worn with jeans. You’ll disappear on camera. Choose classic silhouettes in beautiful colors and prints to build a picture-perfect look! So! Your engagement photo outfit is comfortable, flattering, and classic. Now let’s get it camera ready! Certain pieces, fabrics, and styles of dress show up really well on camera, separating you from the background and adding dimension. Embrace textured fabrics. Everything from sequins to jeans fall into this category and show up well in photos! I typically recommend guys choose jeans over khakis for this very reason. It’s okay for both the bride and groom to wear jeans; if you want to mix it up, ladies, wear a denim jacket instead. Colors are key! Brides, you don’t need to wear a white dress this time around. (Trust me, you’ll get plenty of chances!) Wear a rich, saturated color that will create separation between you, your fiancé, and the background. Avoid flat hues that are too close to your hair or skin tone. Prints work wonders. A classic floral, stripe, gingham, or polka dot looks great on camera and will stand the test of time. Don’t choose a pattern that’s got too many colors or directional shapes. They’ll overwhelm you and distract the eye. Layer up! You can add color, texture, and dimension to your look just by layering on several pieces. You can use shirts, sweaters, jackets, and jewelry to create the look you want. This is extremely helpful for guys who want to wear more than just a button-up and jeans. It’s also a great technique for couples shooting their photos when it’s chilly outside! How a stylist can help: It’s pretty obvious, right?! Whereas all of the above may feel overwhelming to a bride and groom, a stylist knows all of these tips and tricks like the back of their hand. They can relieve a ton of stress by creating a look the happy couple will love, leaving them to enjoy their engagement without adding yet another worry to their plate. 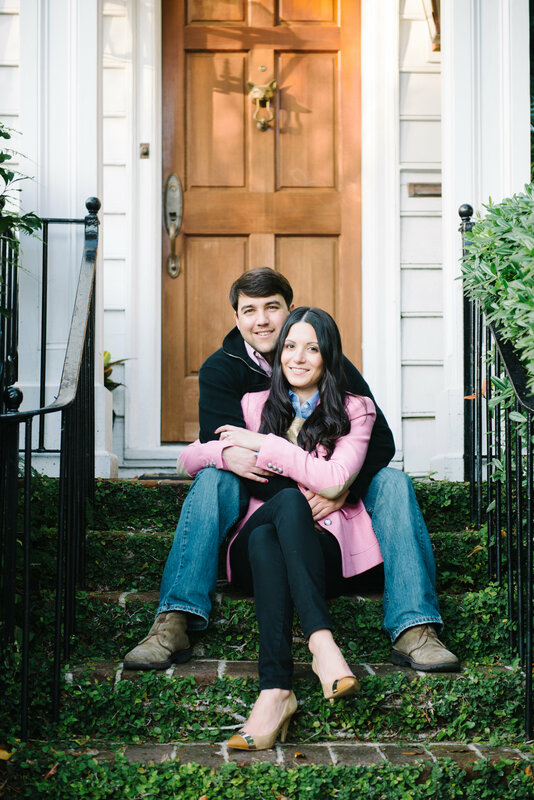 Stylists can also build out more than one look for an engagement session for a fun mix of casual and dressy photos to choose from. Working with a bridal stylist helps couples alleviate wedding planning stress and elevate their photos to another level! Whether they hire me to help conceptualize the whole shoot or just want my input on outfits, I jump right in to help execute their vision…or even help them come up with one! Once we determine the time and location of the engagement photo shoot, I build out several looks for the couple to choose from. They’re all tailored to their style and tastes, as well as to the vibe of the shoot. Once we’ve landed on the winning look(s), we shop for the pieces we need and pull anything from their existing wardrobes that will work. 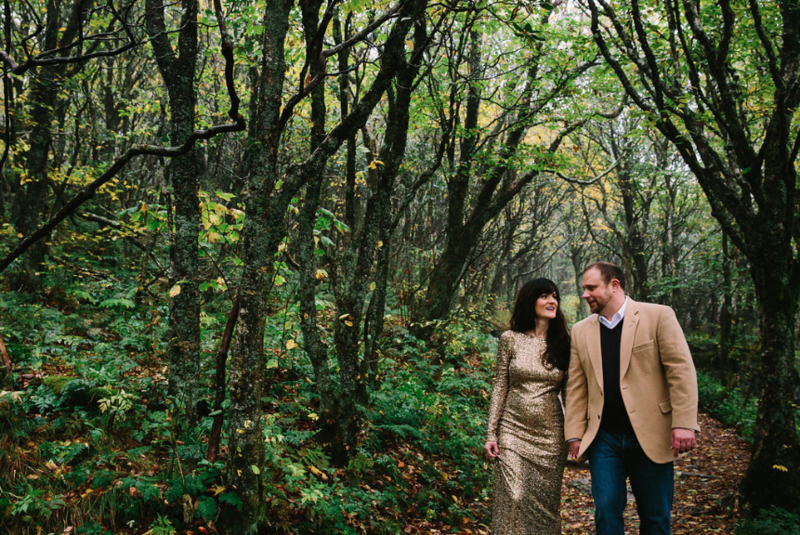 I’m honored to have worked with couples around the southeast, from Asheville to Charleston. I’d love to help style you for your engagement photo shoot, or any other special occasion surrounding your wedding! Brooke Williams is a certified image stylist who moved back to her native home after working in New York and Charleston. Her work extends beyond her portfolio of private clients to the editorial and commercial sphere, including multi-media campaigns for brands ranging from Alesya Bags, to Medifast, to the National Hockey League. 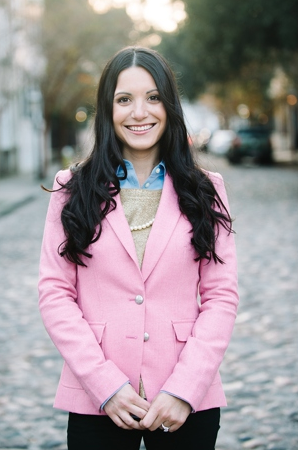 While living in Charleston, she expanded into wedding styling, consulting brides on everything from their engagement photos and bridal portraits to bridesmaid attire. 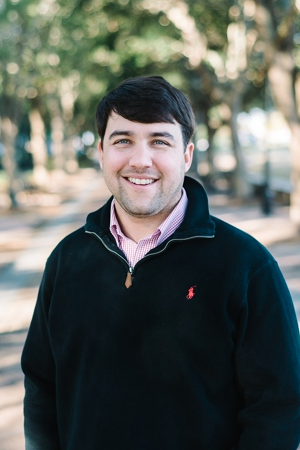 Her brides have been featured in popular publications such as Borrowed & Blue, Charlotte Magazine, and Southern Weddings Magazine. In addition to her styling work, Brooke is the editor of local life and style blog, The Tony Townie. In between wardrobe pulls and fashion shoots, Brooke loves to frequent her favorite local haunts with her husband, Mike, and daughter, Harlow. To contact Brooke or to learn more about her styling services, please visit her official website. You may also refer to her profile on the Engaged Creative Team page.